As Brexit negotiations continue, the Bishop of Derry has appealed to people to pray for politicians. “There has to be prayer in there – big hearts rather than just big brains. It’s only the grace of God [who] can raise up wise leaders and courageous people who will speak the truth into what might be seen as just a political dog fight. Prayer is very important,” he told catholicireland.net. Bishop Donal McKeown said churches needed to reassure people that it “is possible to find ways forward, that compromise is not an evil word, that politics is about delivering on the ground. We want to avoid both a lack of trust in the political process and despair about the future,” he told the Tablet. The Bishop of Derry warned of the danger for society when the political process is “not seen to be delivering for people on the ground”, as occurred in 1968. Any Brexit solution had to “benefit the ordinary people on the ground who are always the ones who suffer from economic crashes,” he said. Speaking to catholicireland.net, he noted that 10,000 young people in Northern Ireland were treated for serious mental illness last year and warned of the “adverse psychological effects that uncertainty can have [on people] as well as the economic effects”. 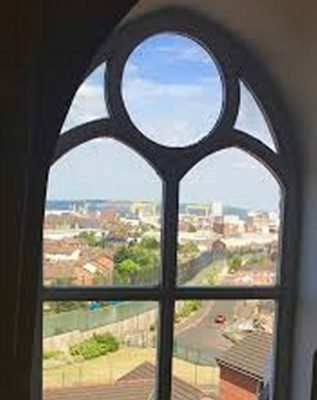 Meanwhile on Wednesday evening, following a meeting hosted by the Irish Council of Churches and the Irish Inter-Church meeting on Brexit in Belfast, church leaders said they were “inspired by the challenge of Jesus to love our neighbour”. Noting how relationships between people on the island of Ireland “both North and South, and between the Republic of Ireland and the United Kingdom” have improved and deepened “immeasurably over the past 30 or so years”, they prayed that “the inevitable tensions, which the Brexit negotiations and their outworking will entail, will not be allowed to undermine the quality of relationships and mutual understanding which are both so important in enabling all of us to work together for the common good. Regardless of the outcome, the people on the island of Ireland and of Britain would remain closely related, and had to get along together, they said. “This calling will be helped immensely as we all strive to listen and relate to one another in the context of mutual respect and even growing trust, rather than in a divisive and unhealthy atmosphere of needlessly destructive debate and broken and fractured relationships,” concluded the message, signed by the Catholic Primate, Archbishop Eamon Martin; Church of Ireland Primate, Dr Richard Clarke; President of the Methodist Church in Ireland, Rev William Davison; Presbyterian Moderator, Dr Charles McMullen; and President of the Irish Council of Churches, Rev Brian Anderson. Meanwhile a participant at the Inter Church meeting on Wednesday, which studied the consultation document Brexit and the Irish Church, said she was heartened by the gathering. “My impression was that there is hope. What the churches really can offer is resilience in the face of all the uncertainty that people face,” said Irene Jovaris from Belfast.